MEXICO CITY (AP) — Andres Manuel Lopez Obrador took the oath of office Saturday as Mexico’s first leftist president in over 70 years, marking a turning point in one of the world’s most radical experiments in opening markets and privatization. 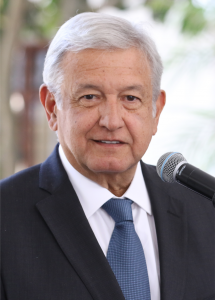 Lopez Obrador talks a talk not heard in Mexico since the 1960s: He wants to build more state-owned oil refineries and encourages Mexicans to “not to buy abroad, but to produce in Mexico what we consume.” … he also harkened back to his hero, ex-president Lazaro Cardenas, who nationalized the oil industry and redistributed land during his 1934-40 administration. He enters office in a powerful position with a coalition that controls both houses of Congress. Lopez Obrador has promised a more austere administration than that of his predecessor Enrique Pena Nieto. Among other things he has said he will sell the presidential plane. In 2012, Lopez Obrador ran for president a second time, but lost to Pena Nieto, of PRI. Pena Nieto, proved unpopular; during his time in office, Mexico’s murder rate swelled to an all-time high, the peso lost value, and Donald Trump was elected U.S. president. Trump has repeatedly used anti-Mexican rhetoric and pledged to build a wall between the two nations. U.S. Vice President Mike Pence will attend Obrador’s inauguration ceremony. Donald Trump’s immigration and trade statements have long concerned many in Mexico, as well as many in Europe. Earlier this year, Mexico did make a trade deal with the Europeans (see EU and Mexico making a trade deal, partially to send Donald Trump a message). Expect more cooperation between the Europeans and Mexico. While Donald Trump claims to have a deal with Mexico now, that has not been formally finalized. We will see how this goes with a new Mexican President. Because of the cultural, ethnic, language, legal, and religious ties between Europe and Latin America, the two regions will likely cooperate more in the future. These ties will be primarily economic, but also may include some type of military cooperation. While the world generally considers that Mexico and the rest of the Latin American nations are “developing”, the fact is that they have truly been developing. Several are not only becoming economic powerhouses, they have been able to do this without the massive debt accumulations that many other nations have (like the U.S.A.). And while not all of Latin America is poised for major economic activity on the world scene, once major players such as Mexico, Argentina, Brazil (Portuguese: Brasil), and Chile develop a bit more, they will have an impact not only on the entire world, but also on the other Central and South American countries that they also trade with. Europe is trying to move to fill in areas where Donald Trump has indicated he wants to change trade terms (see ‘Trade apocalypse’ will lead to the fulfilling of prophecies in the Book of the Apocalypse). This is giving Europe an opportunity that it would not otherwise have, not only with Mexico, but with the rest of Latin America, and even the world. Mexico hopes that it can trade more with Europe and not be subject to the whims of the USA and its current president. As it turns out, various ones in Mexico have long considered that the USA is an enemy nation. The “he” above is the European King of the North. The “strongest fortresses” in the 21st century belong to the USA. The USA will be defeated according to biblical prophecies and its lands divided. 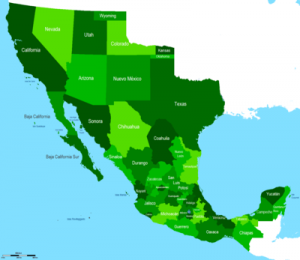 Therefore, Mexico will almost certainly end up with at least some of its claimed lands next decade–it is possible this will happen in President Lopez’s term. I believe that Mexican troops will one day align with Europe. Does such a war sound preposterous? Don’t the two look similar? When some publications and blog sites suggested that López Obrador was calling for illegal mass migration to the United States, the notorious PunditFact, reliable only for parsing words to achieve results it is comfortable with, rushed to declare this suggestion “pants on fire”. Given the context in which the remarks were made, though, and even the most casual knowledge of his views, a cautious thinker cannot help but ponder his intent. There is no doubt that the words will resonate with many Mexicans who look on history quite differently than we do, and see the loss of large swaths of what is now the U.S. southwest, but was once part of the Mexican “empire”, as a giant land grab, a theft. There is even a name given to the desire to retake these lands: the reconquista (reconquest). Needless to say, reconquest could occur by armed means, which would be near suicidal for Mexico to contemplate given U.S. military might, or, just as Islam preaches, lands can be taken by massive resettlement. In an immigration sense, we have seen a reconquista. But one related to war is expected (Daniel 11:39). I do believe that Mexico will be willing to cooperate with a German-dominated power in Europe to invade the USA. Do not think it cannot happen. Mexico is pivoting towards Europe, while the USA has been pivoting away from both Europe and Mexico. We will see what President Lopez does. Despite statements of hope that both the USA and Mexico will better get along, other statements by US President Trump and reactions from various Mexican officials (as well as properly understood biblical prophecies) show that Mexico will end up with closer cooperation with Europe. The final Time of the Gentiles is coming and it will NOT end well for the USA (cf. Daniel 11:39; see also USA in Prophecy: The Strongest Fortresses). This entry was posted on Saturday, December 1st, 2018 at 4:30 pm	and is filed under Prophecy.